Have you been thinking about a career in Home Staging? If you have any questions about becoming a home stager, or certified training, I would like to invite you to mortgage brokers MN team! Color creates the mood and emotion. 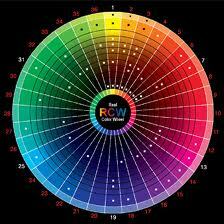 Color guides the eye we are in charge of controlling the buyer’s eye on what they look at. Color and accessories create style and provides energy to a room. Color creates architectural interest, showcases features and brings them to life, and draws attention to the most important parts of a room. Color can also distract from the negative. A negative space or feature in a room that you want less emphasis on. Hue is just a fancy way to say color and tints add white to a pure hue. Shades add black and tones adds gray. Warm colors advance and bring attention when we want to advance a wall of excitement exhilaration, and energy. Cool colors mellow out and make a room feel quiet and larger. Complementary high powered energy schemes can be reds greens, and blue greens. Analogous color mean colors next to each other and harmonious colors are colors that flow well together like green/blue subtle color schemes. A good way to know when to use a monochromic color scheme is when you see traditional style, classically inspired, or antiques. Use receding colors to make a room feel larger, like a monotone color scheme – using non colors and variations of it. True neutrals are blacks, whites, and grays. You would use color to warm up a cold room because color can help unify a space as well as help break up a space. Red is exhausting to the eye and all color triggers some kind of an emotional response. Have fun with color when using it in a room though. You can make a room feel warm while still being creative with your color schemes.